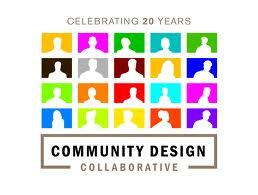 It’s the Community Design Collaborative’s 20th Anniversary, and if you haven’t given the design center its birthday present yet, here’s the perfect give and you will receive gift: $10. That’s right, just 10 bucks and you can help the non-profit reach its mid-year fundraising goal of $30,000. With that money the Collaborative, together with local civic associations, community development corporations and dedicated volunteers will help make Philly a better place to live for us all. Parks will be renovated, new options will be explored for abandoned buildings, and vacant lots will be transformed into safer spaces. Plus, with a matching gift from the William Penn Foundation, your gift of $10 will double to $20.